This is a hospital-based community. 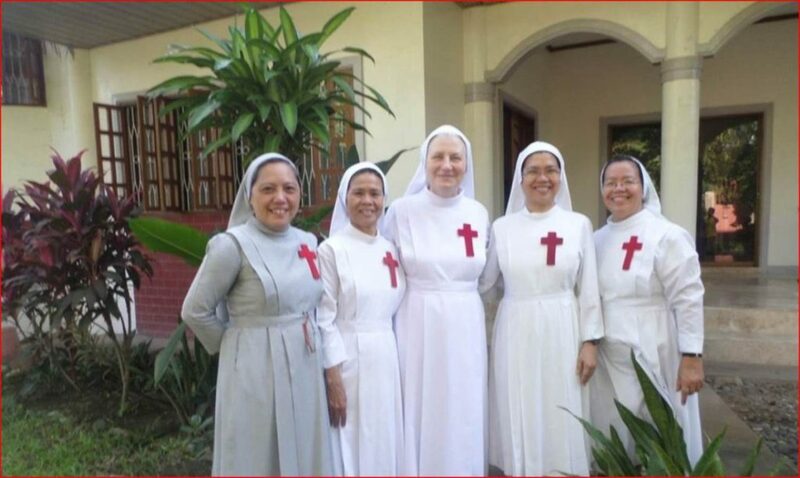 The Sisters collaborate with the Camillian priests and brothers at the St. Camillus Hospital of Mati Foundation, Inc., in Madang, Mati City, Davao Oriental. The Sisters work at the General Services section, Nursing Department, Human Resources Department and Community-Based Health Care Program with mobile clinic, reaching out to remote areas giving services on medical, laboratory exams and dispensing the prescribed medicines. This is to ensure the needs of the poor sick who cannot afford to go to Clinics for check-up due to distance. The Sisters are now working with the general services and community based health care program. CBHCP created a self-contained farm that gives cure for the ailing Earth, with plants that are utterly open to and formed by cosmic influences from the depths of the earth to the heights of the heavens, with right number of animals to provide manure for fertility, and these animals should, in turn, be fed from the farm, sustains the development of the served communities – and this provides wholeness of the peoples’ health.